John Tyson-Capper recently published his first book and so is relatively new to self-publishing. Read more about his book and his experiences. 1. Tell me briefly about your book. 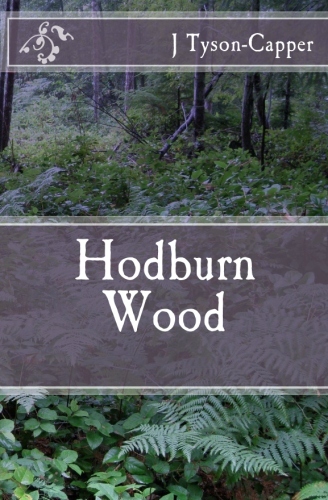 My book Hodburn Wood is set in Northeast England in1798. It’s an historical mystery focusing on half brothers, one rich, one poor. The wealthy character, Hillary, was inspired by Beau Brummel. He is incredibly beautiful, vain and something of a rake. The story picks him up on his return to England after a four-year exile in Europe and the the Near East. His promiscuity is a kind of compulsion that, whilst leaving him unsatisfied, drives him on in an endless circle. He cares little for anything that doesn’t immediately concern him, and though he is aware of his vacuity, he turns it into a self-pitying badge of honour, as if it is a burden to bear. In contrast, his half brother, Martin, of whose existence he knows nothing until Martin confronts him, is poor, brought up in a brothel and then later by gypsies. He has a truly terrible burden to bear, with which he confronts Hillary and which in turn drives the plot pitching the two characters against one another. Although I have uploaded the book to Kindle, I am in the early stages of marketing. I want to elicit reviews, interviews and the like whilst I am waiting for the paperback to become available in the UK (probably after Christmas). Once the paperback is out, I will launch the novel in Newcastle. Having said that, I have gained a few sales from the states and the UK. Self-publishing is time-consuming, and there is a lot to learn, particularly regarding marketing and distribution. I went with Creativespace, their books are great quality products, but from a UK writer’s perspective they only offer distribution to Amazon.co.uk through what they call an expanded distribution channel which just about wipes out any profit. That’s why I went with Kindle ebooks as well, though online marketing is a whole new ball game to me. To get around the problems with Amazon.co.uk, I will sell books directly through Amazon’s ‘Market Place’. 4. What sort of marketing techniques have you used to sell your e-book, and which ones have been most successful? Techniques for selling e-books seem to all be focused on gaining attention of would-be buyers – Facebook, Twitter and blogging, etc. But I will be producing fliers, which I’ll hand out outside bookshops! And approaching newspapers and local website reviewers once paperback is also available in the UK. I think gaining reviews from reputable sources is the key. The most important thing I have learned about self-publishing is that your book is at the end of the day a commodity, just like a piece of cheese, and if you want to sell it, you’ve got to persuade people they need it! 5. Independent authors face the obvious challenge of marketing their books without the resources of traditional publishers. What advice do you have for an indie author just starting out? I am just starting out in the world of self-publishing and have realized how much it takes you away from what you love doing – writing. It also can take over your head; it’s easy to find yourself worrying over how to come up with some sort of sales strategy, rather than thinking about where to go with your character, plot etc. To try stem the tide, I have now allocated specific days where I stop all marketing business, keeping the time free to write. My next project will be more contemporary. I have some ideas around the social and cultural fallout of the coalition/financial crisis which I would like to explore, but it is early. I aspire to the kind of writing that makes people think as well as be entertained. My book is available at https://www.createspace.com/3576588 and Amazon.com, Amazon.co.uk and my websiste is hodburn.wordpress.com.